This is certainly not an Academy-like pick but it’s a worthy one. I love Tom Hiddleston and he could easily appear in two spots on this list. He was fabulous in “The Deep Blue Sea” but I’m going with the flashier and definitely more explosive performance from “The Avengers“. 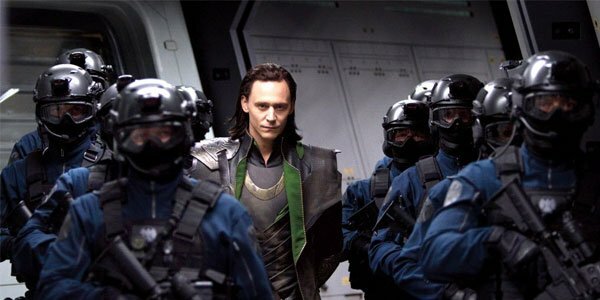 When Hiddleston is on screen as the mischievous villain Loki you can’t take your eyes off him. His conniving smiles, his devilish arrogance, and his way with words make the character one of the most entrancing villain you’ll see. I love the performance and I’m making up for where the Academy dropped the ball. Writer and director extraordinaire Wes Anderson quite possibly writes some of the most quirkiest characters in cinema history and I love them. 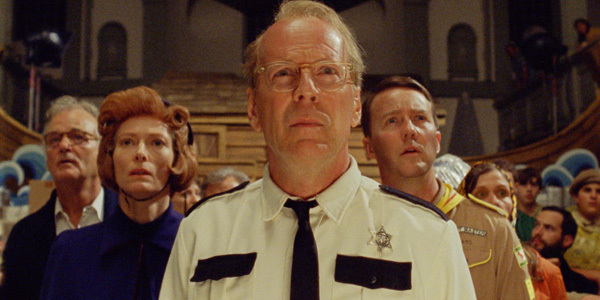 “Moonrise Kingdom” has a couple of great characters and performances that could have made this list but I’m going with Bruce Willis. He plays a small community police captain with his own bit of baggage. Willis melds perfectly into Anderson’s accentuated world. He brings some great laughs as well as some pretty heartfelt moments. Willis gets it all right and even his funky blonde hairpiece works to perfection. It’s hard to believe that this was Dwight Henry’s first real acting gig. His performance as an ill-equipped and ill-tempered father in the poverty-stricken New Orleans delta was outstanding. Henry owned a bakery before landing this role but you would never know it. He brings such a boisterousness and volatility to the character that is essential to making everything work. At times you want to punch him in the face. Other times you want to cry for him. Henry has made a big splash with his first role and hopefully more people will now get to experience it in “Beasts of the Southern Wild“. I don’t think there is a role that Guy Pearce can’t handle. 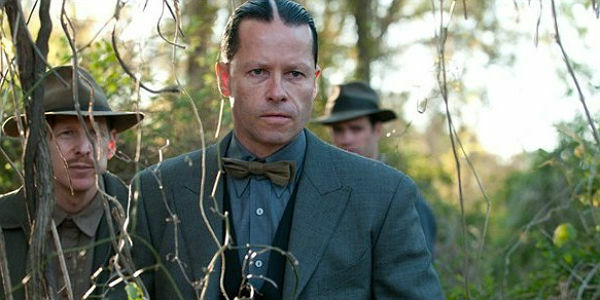 In “Lawless” he plays a rather twisted special deputy sent to the hills of Franklin County, Virginia to put a kink in the moonshiner rings. Pearce has an absolute blast with the role and shows it through his creepy appearance and violent temperment. Several of his scenes stand out including his initial face-off with Tom Hardy. Pearce gives us a true villain and you hate him without any question. I loved this performance and it was one of my favorite bits of supporting work of the year. Michael Fassbender has become one of cinema’s best actors and I knew from the opening moments of “Prometheus” that I was in for a real treat. In the movie he plays an android named David and throughout the film we are trying to figure him out. Fassbender’s emotionless demeanor and cryptic forms of speech make him impossible to read and I loved watching him slither in the background of many of the scenes. This was a unique and pivotal role in the movie and Fassbender handles it with ease. I know some have had issues with “Prometheus” but how can you not love his performance. 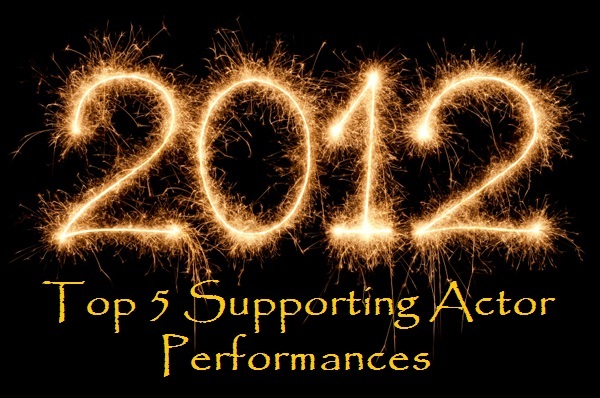 So there are the 5 Top Supporting Actor Performances for 2012. What are your thoughts on the category? Where did I go wrong? Tommorow it’s back to the ladies as I unveil my Top 5 Lead Actress Performances. This entry was posted in The Phenomenal 5 and tagged beasts of the southern wild, best supporting actors, bruce willis, dwight henry, guy pearce, lawless, Michael Fassbender, moonrise kingdom, movies, prometheus, the avengers, tom hiddleston, wes anderson. Bookmark the permalink. Dwight Henry did an amazing job! Also enjoyed seeing James Gandolfini in Killing Them Softly – one of my favourite supporting roles of the year. Good choices! I also really wanted to fit in Jason Clarke from “Zero Dark Thirty”. I did supporting actresses yesterday. Check out that post whenever you get a chance. It was a very strong category as well. Great choices here Keith. Not seen Beast or Moonrise yet but the others are great. Pearce I thought was fantastic and didn’t get the recognition he deserved. Glad to see I’m not alone on loving Guy Pearce’s performance . He was such fun but in an unhinged way. Would love to hear your thoughts in Moonrise Kingdom. Great little movie. As you know, I enjoyed Pearce as well but it’s good to see Dwight Henry amongst these choices. Nice one man. Thanks bro. Love me some Rakes! Be sure to check out the supporting ladies that went up yesterday! Nice to see Hiddleston and Willis on here. People don’t really talk about Willis’ performance in Moonrise Kingdom but I thought he was terrific, he’s more versatile than people give him credit for. I’d also put Jason Clarke on here from ZDT. Funny you mention Clarke. I was fully prepared to move Clarke onto the list after seeing ZDT. But after looking back over my picks I just couldn’t move anyone off my list. Clarke was fantastic! Glad you agree. I’d love to see Clarke getting more roles. He’s an Aussie but you’d never know it as his American accent is so flawless. His accent is spot-on. I’m a big fan of Joel Edgerton, another Aussie. He has the accent down also. Oh right, I forgot there are two brilliant Aussies in ZDT. Both should get more roles in Hollywood. Move over Ryan Gosling! Nice picks. I’m in full agreement with Dwight Henry, he was great in Beasts. These were very unAcademy like picks. But I can’t help it. I love these performances. Strong year for supporting work. 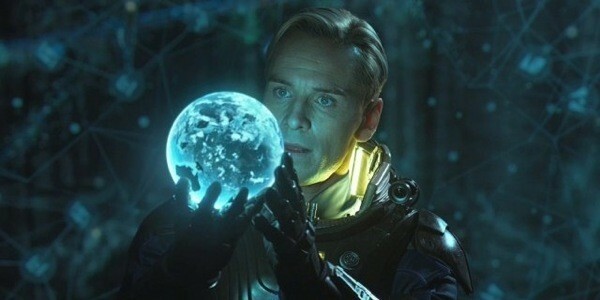 Fassbender is a good choice, he was really the biggest bright spot of Prometheus. I have not seen Django. I’m not a big QT guy bit I do like Waltz and DiCaprio. Awesome picks. Loved the fact that you added Fassbender and Hiddleston. One of my top picks for this category is Pierce Gagnon in Looper. Thanks buddy! I just couldn’t leave off Fassbender, Pearce, or Hiddleston. Unconventional picks but very deserving in my book! interesting to see your picks are all non-Oscar noms! i like your list more. it must have been tough. no love for Leonardo di Caprio in Django? 🙂 hooray for Tom Hiddleston and Michael Fassbender. Wholeheartedly agree. There were several other great performances that deserved recognition but I just couldn’t bump anyone from this list. This was a tough category. Tomorrow’s Best Actress top 5 was just as tough.